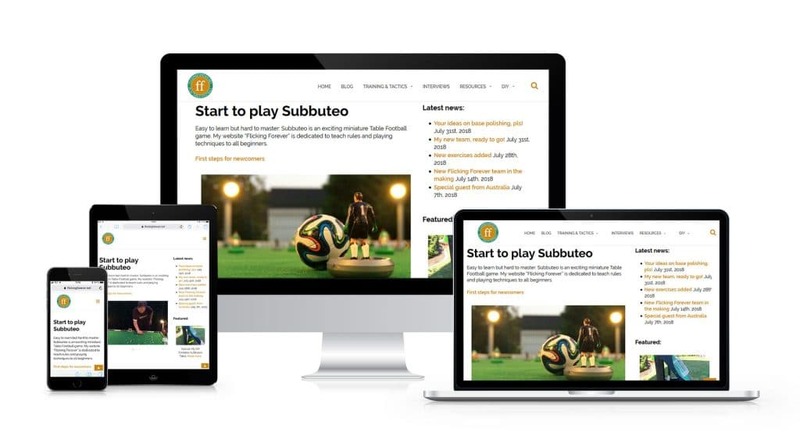 Redesign of Flicking Forever’s homepage (and minor bug fixes): My blog is fully responsive for desktops and mobiles now – with more featured Table Football content, latest news and category teasers right on the front page. Have a look and post your feedback, please: What is good, what can be improved, what did you miss? Have a nice Sunday, flickers!